So how cute is this? 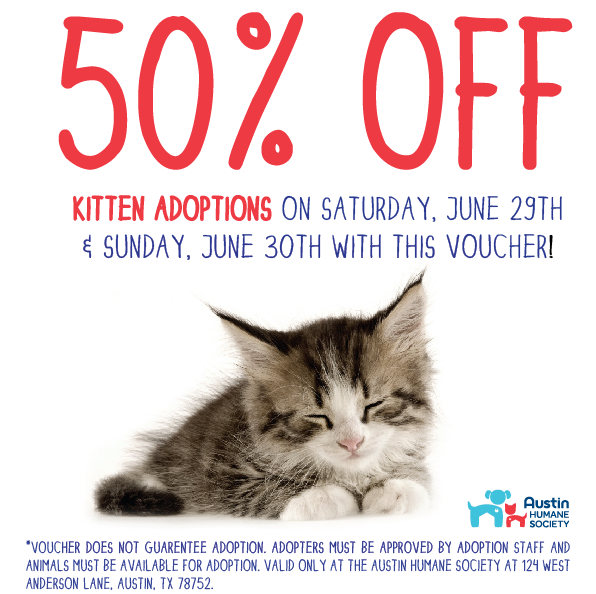 I saw this coupon and was instantly reminded of the time, 10 years ago, when my daughter adopted two kittens from the Austin Humane Society. These two now grown kitties currently reside in my home, along with her cat Binx, who was rescued from an apartment complex and it quite the lap kitty! 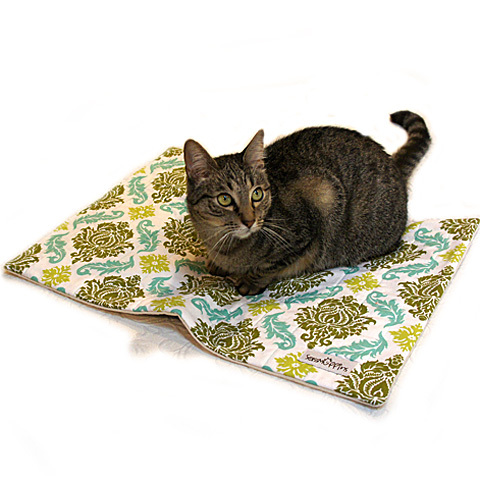 June is adopt-a-cat month with the American Humane Association. 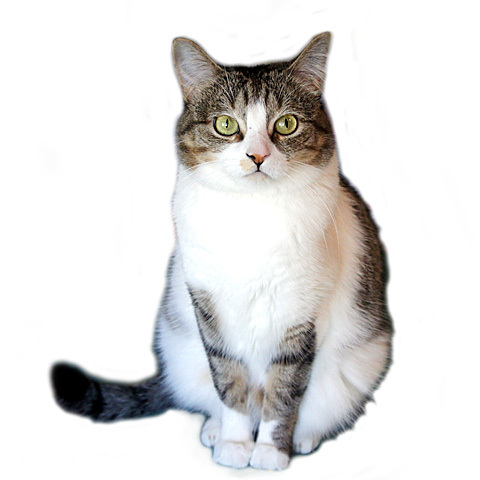 All four of my kitties were adopted, so I thought I would share their inspiring stories with you here. If you ever get the chance to adopt or take in a stray that desperately needs a home, as the Nike commercial says “Just Do It!” You will be forever blessed!! She was adopted from my local veterinarian’s office in the fall of 1999. Someone had brought in a litter of beautiful calico kittens that all needed a home, and she found hers with me. She is a sweet, quite kitty with a comic side that keeps us laughing, and she gets along beautifully with all the other pets (both cats and dog). 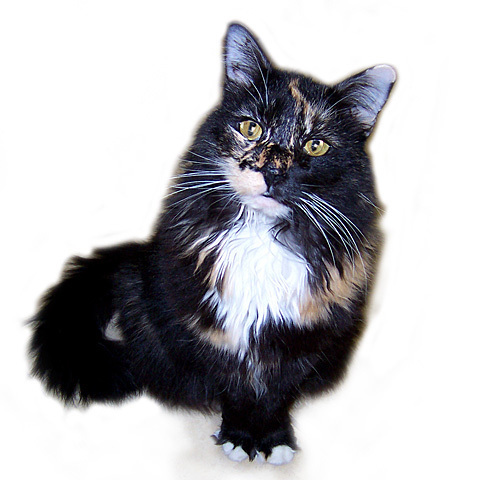 My tortie kitty was also adopted from my local vets, although under very different circumstances. 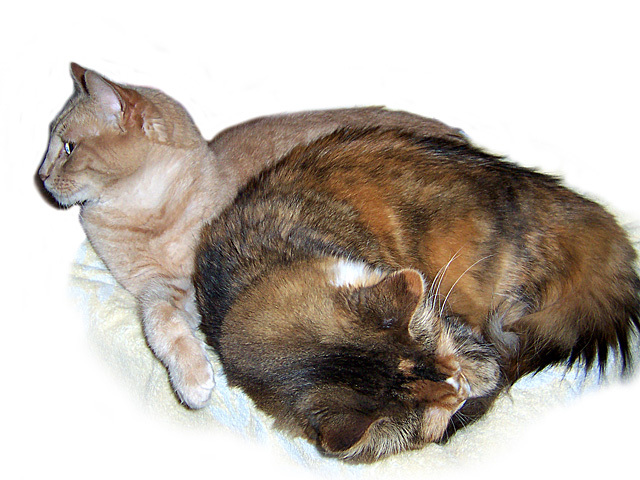 Both she and her creamy orange tabby brother Ashton were left outside my vets office door in a cardboard box prior to their opening one fall day in 2001. I guess whoever left them there knew that the vets would not refuse to take them in. They wanted them to be adopted together, and so I gave both of them a new home. Sadly I lost Ashton to cancer when he was nine years old. He was the most dog-like cat I’ve ever had, and would ALWAYS come when called, wagged his tail, and ate wholeheartedly. Peyton has quite the personality and is a real talker, loves high places, and has fur soft as a rabbit! Oh his is quite the story. I was out of town for a relative’s funeral, and my parents and I found him in the parking lot of our hotel, eating bugs and trying to follow all the guests into the lobby through big automatic sliding doors. We were able to catch him and I took him to a local vets for boarding prior to the trip home. The vet asked his name, and I told him he didn’t have one. “Well how about Tyler, since you found him in Tyler, Texas” he suggested, and it stuck. He rode home with me in my parents car, gazing at all the big rigs on the interstate, and being the perfect gentleman. I think it was a combination of being grateful for his rescue, and being kinda sick, that made him so settled. My husband says he has been grateful ever since, and I think that’s very true. I am smitten by this kitty. He may not give you face kisses like a dog, but this sweet beyond belief boy will give you neck hugs! She was a 4-5 month old kitten when we first saw her on a very cold early December night in 2010, approaching all the vehicles as they went through the local Cedar Park Wendy’s drive-thru. “Would you like anything extra with that order” the attendant asked. I was tempted to answer, “Yeah, one gorgeous kitten!” My husband and I went home with our food, and then went with back with carrier and cat food in hand to try to catch her. It was dark and getting colder; we were expecting our first freeze of the season that night. Despite multiple attempts we could not make headway with her. I went back the next morning alone and was finally able to get my hands on her. She was not feral, but was pretty upset at being caught. After a trip to the vets for a checkup she was introduced to the other pet family members, and she pretty much walked into the joint and took over…and nothing has changed much since. She has a dominant personality and rather rules the roost here! This entry was posted in Pets and tagged Adoption, Austin Humane Society, cat, June adoption month, kitten, kitty, pet, Pet Adoption, Stray. Bookmark the permalink. Such a great bunch of kitties. I adopted my first cat from the Williamson County Animal Shelter not long ago. Seems like most of our kittens or cats always just showed up at our house. I can remember adopting young kittens from people trying to get rid of them when I was a kid too. Thanks Ann; they are a great bunch! And all of them have such amazing and individual personalities. And yes kitties do have a way of showing up on the doorstep, don’t they? I think that often they choose us, instead of the other way around! I couldn’t agree with you more! And they are all truly so appreciative of the love they have been shown. Sometimes I wonder about their life “before me”, but the main thing is that I know they are well cared for and well loved now, and that’s what matters.